STOP ON THE A90 just outside of Dundee at the BP gas station. Eighteen-wheelers roar over the highway, and the air is peppered with diesel soot and a hint of ethanol from the pumps. You’d hardly think you’re in the Scottish Highlands. But you are. Here along the road to Perth is roughly the imaginary line that bisects the country extending from Greenock in the west all the way east to Tay near Dundee on the coast. The line isn’t linked to geography – more to war, one thousands of miles and hundreds of years away – and even more than that to whisky. 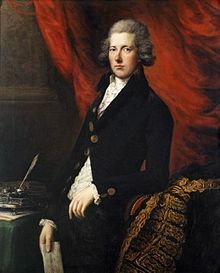 So, that year William Pitt the Younger created the Wash Act, which set into motion a chain of events, accidents really, taking us from 18th Century gin to 19th Century blended whisky up to single malts in the 1960s. In fact more than a butterfly’s wings, it was likely an aphid’s in America. (America can be linked to many of these twists of fate). These accidents and their impacts led to a boom, a bust, an Enron style scandal – even Campbeltown’s rise and fall – developments that seem utterly unconnected from the Bullionfield BP station on the A90 as trucks roar by. Taxing Scotland to pay for the War in America and the follies of a mad king, all thanks to William Pitt the Younger. Pitt’s Wash Act cut Scotland in two—divided it into the Highlands and Lowlands. North of the line you could only make malts in small pot stills, and south in the Lowlands there was no such regulation, not even on the kind of grain distillers could use. I don’t want to go through the intricacies of tax code here, but the laws were revised more than a half dozen times, doubling and tripling duty with each change. Soon, to appease distillers in the south, any spirits produced over the line couldn’t legally cross it. By 1815 the government even outlawed distilling in the Highlands, and in the Lowlands distilleries became factories since they were taxed not on output but the number of stills. The spirit was sent to England to be rectified into gin, and a race was on to make the stills ever more efficient. Only a few families could afford to keep up with the technical innovations, but they led straight to the continuous still. Robert Stein made the first one in 1826 (ironically two years after duty changed and Highland stills were legal again, also just two years before Springbank opened as a legal concern. 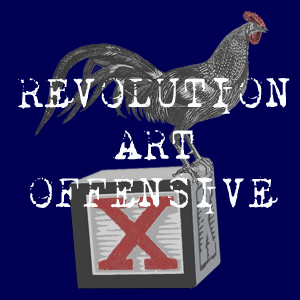 It, like many distilleries, was built on the site of the illegal operation). That 1784 law still shapes spirits. Cameronbridge, the distillery where Stein’s still was first used, today produces just under 32 million gallons of neutral spirit a year for Tanqueray, Pimm’s, Gordon’s and several other brands as well as grain whisky for blended scotch. Across the line in the Highlands, you get malts—what I think of when I think of whisky – warm flavors, salt and seaweed, and weathered men cutting peat…. Even if the Highlands technically start along the A 90. Whisky’s past is sketchy. It dates back centuries, certainly before it ever enters written record – which, for the record, is the 15th Century in the Scottish tax rolls. One friar, John Cor, is recorded as receiving 8 bolls of malt (that’s about 100 pounds) to make aqua vitae for King James IV. A few years later, the Surgeon Barbers of Edinburgh snag the monopoly on whisky production (whisky being reserved for health concerns). The name comes from the Latin aqua vitae, which became the Gaelic uisge beatha. Shortened to uisge, pronounced ooshka and then turned into whisky, you can see the word slip down and away from its Roman origins. The spirit was probably first made in Scotland near Campbeltown brought by Irish monks using barley from Norway, and, oh, the irony that this thing that is not even of Scotland is now protected rigorously under the law. Anything calling itself scotch must be made in the country. In 1609 the Bishop of the Isles made the clan chiefs sign onto the Statues of Ilcomkill. They banned firearms owing to the people’s “monstrous and deadly feuds,” and demanded that anyone with 60 head of cattle or more educate his eldest son (or barring that, the eldest daughter) in English in the Lowlands. Because drinking was such a blight, all foreign wines and spirits were outlawed, but not those brewed locally, so that year the first legal distillery opened in Campbeltown. Today whisky is tightly defined. Over the years laws (particularly those in regards to customs and excise) have shaped not only the spirit but in the process geography like the Wash Act establishing the Highland Line. Aging scotch is another of those accidents of politics and war. In 1915 Lloyd George specified that whisky had to be aged for two years; in 1916 that became three years. In part he wanted to protect grain supplies during the Great War but he was also a big temperance man, and anything he could do to limit spirits he would. People worried a raw, young whisky was too heady, too intoxicating, too fast. In fact, according to chemist Harry Rifkin it’s true, that medically, physically, ageing changes whisky. Rifkin owns Tatlock & Thompson, an independent research firm that’s been working with distillers for more than a century. “So,” he advises, “if you’re out to get drunk, don’t use a good single malt.” Now malts need to be aged not only for three years but also specifically in oak barrels – a dictate that’s been around for only a decade, but which got its start from a labor dispute in the US. In the 1930s American coopers struck a deal with the bourbon distillers: all bourbon had to be aged in new casks only. None could be reused. That produced a huge market in second-hand casks. They were cheap and used for rum and whisky, where the traces of bourbon influence the flavor. But, that accident became the rule in the 1980s. The Seventies was a period of overproduction of whisky; too much scotch was made and it was put into all sorts of casks. A decade later after it had aged, some of that scotch was awful, and chemists were put on the case, Harry’s colleagues included, to understand why. They researched just what kind of wood to use but also where to grow it, when and even how to cut it, to go with or against the grain. Turns out the best wood is American oak from the Ozarks in Missouri. There at the edge of the prairie, clay soil and a deep water table produce slow growing oaks with tight rings – perfect for barrels. Reading Winter’s Bone I often thought Ree Dolly should have sold her trees, that the old-growth birthright would have been turned into casks for scotch. Now officially scotch whisky has to be made at a distillery in Scotland, twice distilled, aged three years. Made only from water and malted barley – processed at the distillery into mash – fermented under its own power with the addition of yeast (no additional fermenting agents are allowed). Distilled to a strength of less than 94.8 percent, matured in oak casks no bigger than 700 litres. Lastly it can only have water and spirit caramel (yes, that is caramel coloring much like what’s used in Coke) added to it. (Distillers often believe consumers need whisky to be a certain color…) It can’t be bottled at less than 40% alcohol. And, that there is scotch. Once an age is put on a label, that must be the age of the youngest whisky in the bottle. And a single malt isn’t from a single cask; it’s blended too. The official term is “marrying,” but malts in a single malt come from different barrels and casks – just from a single distillery. Whisky is full of stories of people who went from went from very poor to very rich very fast—like John Walker (as in Johnnie Walker). Fourteen when his dad died, his mom was illiterate, and he sold off the family’s meagre possessions (including some sacks, bags, winnow cloth and a cheese knife) to start a grocery store that became a huge blending concern. There’s William Teacher (at seven working in a textile mill after only a few months of school, the sum total of his education) and William Grant (shepherd at seven, trained as a shoemaker, labored in a lime works, finally at forty-two starts his own distillery, Glenfiddich, with the help of his nine children – his daughters cut the peat). Scotch has family feuds, bootleggers, vanity, suicide, ghosts and more ghosts, plus its own bard in the form of Robert Burns, an excise man who also mocked the role of taxing and policing stills. 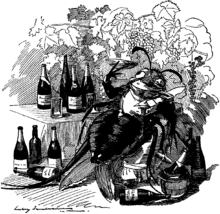 More than any of these though, whisky owes its success to two things utterly unconnected to it — that queen and the louse. The louse probably never stepped foot on Scottish soil—though if it did, it likely wouldn’t have survived. The queen did, and thrived. 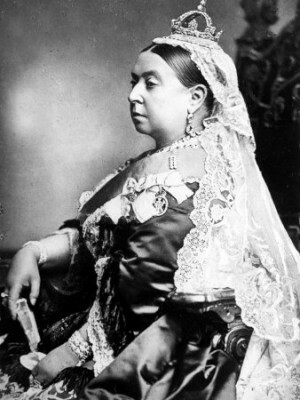 She was Victoria and when she bought Balmoral Castle for her summer retreat, the Highlands got hip, and people took to its native spirits. The louse, the Phylloxera Louse, was literally an aphid and barely visible to the naked eye. The insect wiped out two-thirds of Europe’s vineyards. For more than a hundred years people had been bringing grape vines back to Europe from the Americas, but by the middle of the 19th Century this hidden invader managed to survive, thanks to steam ships. The same ships that would carry whisky around the world and enabled the Scottish diaspora in the face of the Highland Clearances and potato famine also allowed the louse to survive the journey from North America to Europe. And, that louse contributed to the spread of whisky, because it killed the vines, which killed the wine, which killed brandy. Brandy and soda being the drink of choice in tony mid-19th Century London. There to fill the void? Whisky. And an aphid, aka the phyloxera louse. Whisky benefited from many changes like Gladstone’s Spirit Act of 1860 making it possible to blend under bond – that is, to create blends without having to pay tax and making it easy to sell blends that are cheaper (being part grain alcohol) and more palatable to tastes in England. Even something as seemingly unrelated as easing the tax on glass helped spread whisky. Blenders could afford to put whisky in glass bottles. Put it in your own bottle, with your own label and you can sell it for more money – to more people. You aren’t limited to selling via the casks from which hotel bars, restaurants and shops had decanted whisky themselves (often diluting it to make it cheaper and relying on customers’ trust). With glass you got brands— and those brands grew into great global concerns. Once blending became legal in 1860, to protect their interests grain distillers joined forces to form the DCL (the Distillers Company Limited) – grain being a key ingredient in blended whisky. Now after a century’s worth of mergers and acquisitions, the DCL is Diageo, the world’s largest multinational beer, wine and spirits company. With blending came a boom, a bubble – and a bust. By century’s end countless new distilleries opened. Lairds encouraged stills on their land. The very poor who became very rich became barons. Everyone was buying, selling and expanding. 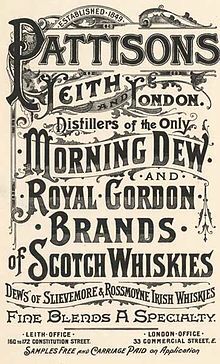 John Walker & Sons, by now in the hands of the grandsons, bought up distilleries, as did all the other blending companies. It was the era of whisky’s own Enron. It was the age of the Pattison brothers. Together they nearly destroyed whisky and took down with them many distilleries. Walter and Robert Pattison were dairy traders who inherited their father’s small blending concern and rapidly expanded it, taking on unsustainable amounts of debt. Robert Pattison built a lavish home in Peebles, and if he missed his last train home would simply hire another. They went public in 1896 and after that spent $92,000 on advertising (about $6.9 million in today’s money). This included sending out five hundred grey parrots to bars where the birds exhorted patrons to ask for Pattisons. Their blends included The Doctor, Mountain Dew and Royal Gordon Perfection. The blenders sold goods twice, paid large stock dividends out of capital, sold stock and bought it back at inflated prices with Bills of Exchange (basically checks). The brothers obviously didn’t have the money to make good on them. Newspapers as far away as New York and Australia reported on their, “Recklessly extravagant style of living.” The Pattisons swindled Clydesdale Bank out of more than $60,000 and showed up at the Henley Regatta with fancy yachts for corporate entertainment. Then, in 1898 the ruse was up. Pattisons Ltd. owed the DCL $45,000—and in return the grain company froze their accounts, sending Pattisons spiralling. Forty-one pages of charges were brought against them including false profit and loss sheets and faking their balance sheets to shareholders. Much to the public’s scorn the brothers had even been making something billed as “Fine Old Glenlivet” (Glenlivet suggested quality to consumers. Most of the Speyside distillers tacked Glenlivet onto their names) by mixing cheap Irish grain whisky with a fraction of scotch, and selling it at more than nine times the original cost. The liquidators came in and sold off the mix at knockdown prices. 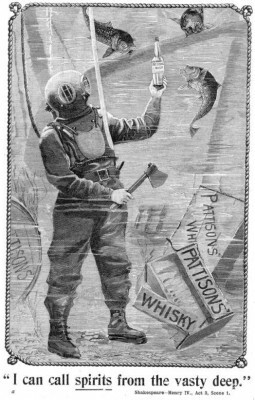 An ad for Pattisons Whisky, prices so knocked-down by liquidation the bottles were pulled out of the proverbial waters. The crisis nearly did in Campbeltown. As part of the blending boom, the city’s distilleries were bought and sold by conglomerates – often the DCL. In order to make their margins, stills were run too fast with too much of the heads and tails left in. There were rumors the whisky was being aged in herring casks (from Campbeltown’s other big, dying industry, fishing). Lower quality whisky led to a glut after the Pattison crisis. Add to that the twin blows of Prohibition in the US and the Depression, and Campbeltown never recovered. Its distilleries were bought up, left idle when not needed – “mothballed” is the industry term for it– never to reopen. Today the city is literally haunted by this period. In 1930 the owner of the Glen Scotia distillery found himself broke and drowned himself in the Crosshill Loch – no small irony. It was the source of the distillery’s water and makes me think of the Victorian dancehall song Andy Stewart made famous: “Campbeltown Loch, I wish you were whisky….” The dead owner now lurks around his distillery, one of the few back in operation. The Pattison Crisis also shook William Grant. It nearly bankrupted him and almost killed him. Pattisons had been his main customer, and he realized he needed more control over his business. He didn’t want to be at the behest of the blenders, so became one himself, taking up wholesaling and blending and sending his son and son-in-law off to Glasgow to set up business. The office was in a church basement, and they sold blends – including Grant’s Best Procurable, and Grant’s Hare and Hounds even Grant’s Standfast, apparently taken from Clan Grant’s battle cry – walking the streets of Glasgow and then Lancashire. They struggled and eventually were successful. Grant, the paterfamilias, was less so—he suffered a serious stroke brought on in part by the stress of the Pattison Crash. Fifty years later, it’s easy to imagine the lingering fear of that crisis still hanging over the Grant family. The few independents left kept getting swallowed up into ever-bigger companies as the DCL continued to grow, and the Grants must have thought something had to change. They took a bold step. They decided to market a malt produced at one distillery. It was the birth of the single malt. They bottled Glenfiddich and were the first to understand too that duty-free was a key to reaching customers. They launched the biggest changes in whisky in the last hundred years. Today more scotch is sold in those odd non-time, over-lit zones in airports the world over where a refrain of last boarding calls and unattended baggage warnings plays on loud speakers than anywhere else. Companies design bottles and blends just for duty-free in Dubai, while single malts now account for about a fifth of all whisky sold. Drinkers equate them with quality and connoisseurship, with the true nature of scotch, and because of them, the distillery tour has helped build a huge tourism industry in Scotland. Something that also leaves Campbeltown at a loss. The city is hardly touristic. This entry was posted in Food and Drink and tagged aberlour, ardbeg, balvenie, bowmore, Bruichladdich, Bushmills, Campbeltown, caol ila, cardhu, cragganmore, Frank McHardy, glenfiddich, glengyle, glenlivet, hazelburn, hedley g Wright, Islay, J&B, Johnnie Walker, Ken Loach, kilkerran, lagavulin, Laphroaig, lost distilleries, malt mill, port ellen, Queen Victoria, scapa, scotch, Scotland, speyside, Springbank, talisker, Tamnavulin, The Macallan, UK tax law, whisky, William Pitt the Younger. Bookmark the permalink.